The actual players never stood a chance. This week, smack-dab in the middle of a youth soccer match in Turkey, a furry new challenger decided to join in on the fun. 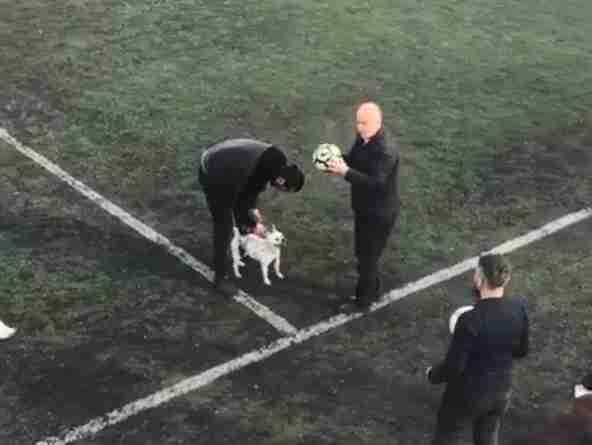 That adorable interrupter, a small white dog, then proceeded to seize possession of the ball — deftly dribbling it around the pitch like a real pro. Even after the referee managed to get the ball back, the little pup was able to steal it again. After much effort on the part of the players, whose own soccer skills had been sufficiently overshadowed, the ball was returned and order was restored. All good things must come to an end, after all. The skillful dog, it seems, had initially gone to merely watch the game; he had reportedly escaped from his owner in the stands and was last seen being put back on a leash. His special talent, at least, was now no longer a hidden one. Good on you, soccer pup.